Covington, GA –Turkey hunters excited to cross paths with strutting gobblers this spring can take a solid shot with the first-ever SmackDown LockUp Rest. The Trophy Taker™ SD LockUp is a limb-driven, lock-up, fall-away rest with integrated roller bearings for smooth mechanics. It features a durable design of precision-machined aircraft-grade aluminum alloy with stainless steel hardened components to make for a reliable rest that won’t fail, season after season. For ultimate sturdiness, the innovative three-point mounting system provides two contact points on the mounting bracket. The SD LockUp provides full containment and is extremely adjustable. 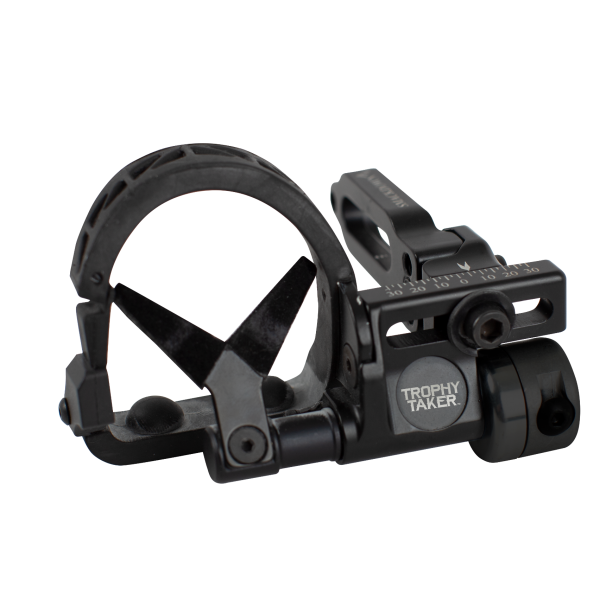 Bow users can increase the windage block adjustments by .25” to accommodate 1” riser designs. A full over-molded containment ring has a built-in sound dampening system for a stealthy shot. Trophy Taker backs up the SD LockUp Rest with an unconditional lifetime warranty. For more information on Trophy Taker, trophytaker.com. Trophy Taker is owned and operated by Arcus Hunting, an acquisition growth platform with a strong portfolio of leading brands in the hunting and outdoors category. Arcus Hunting owns and operates Tink’s®, Dead Down Wind, Obsession Bows, Ramcat, Trophy Taker and Rack One brands. For more information about these brands or products, please contact Arcus Hunting Public Relations at (800) 624-5988 or visit arcushunting.com. Trophy Taker™ Smackdown LockUp Arrow Rest - Right Hand Cocked, Locked, and Ready to Rock.